IGRALUB has developed and delivered innovative and highly efficient lubricants and lubrication systems for railways, LRV, metros and trams. 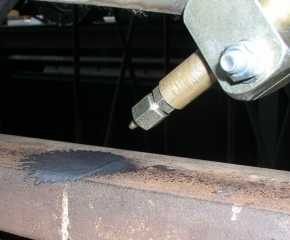 Igralub’s know-how helps to dramatically reduce wheel/rail wear and tear and reduce or even prevent the annoying train wheel/rail noises, such as curve squeaking. 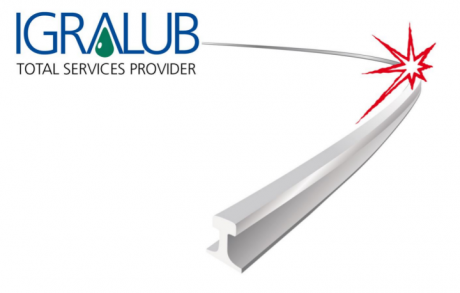 As a total services provider Igralub offers integral solutions and support over the complete life cycle. TOR Control is an independent, electronic control system that meets the requirements for successful railway lubrication: to lubricate the right amount at the right place and at the right time. TOR Control detects the approach of memorized lubrication points before bends and triggers the appropriate spray action, which may be determined by a variety of factors, e.g. direction of travel, brake application, speed and weather. IGRALUB developed lubricants for on-board and wayside lubrication systems. Our specialty lubricants are known for a high solid content and wide range of application temperatures. Special low-temperatur lubricants can be used up to freezing temperatures of minus 40°C (-40°F). Outside the transportation sector, IGRALUB is serving over 2500 customers in other industries and markets with unique applicationspecific high-tech lubricants for automotive, bike and bicycles, machinery, overhead or gantry cranes, harbour cranes, special container handling systems and specialties vehicles in amusement parks, mining and heavy steel plants. Our well-branded lubricants can be found in almost every bicycle shop around the world. TOR Control enables fully automatic control of wheel flange or top of rail lubrication. Special lubricants for cranes,chains and escalators.